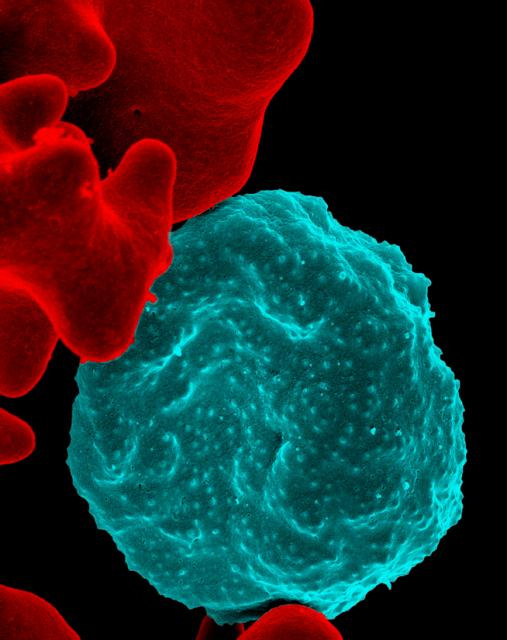 Image of the Week: Malaria! Pictured below is a red blood cell infected with malaria, false colored in blue – you can see the malaria virions as the brighter blue spots within the cells. To the left, uninfected red blood cells are shown in red, their surfaces smooth.